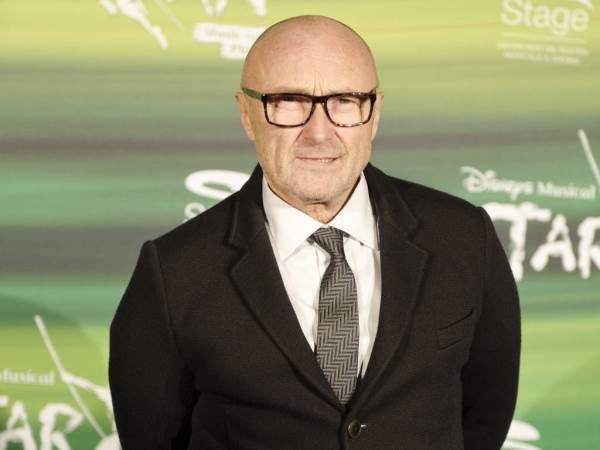 Rocker Phil Collins harbours deep regrets about the way his second marriage ended, insisting he was wrong to cheat his daughter Lily's mother. The Genesis frontman wed Jill Tavelman in 1984, but the relationship crumbled in the 1990s after he was caught having an affair. His infidelity led to the couple divorcing in 1996, seven years after its daughter, actress Lily Collins, was born. Collins reflected on his troubled personal life in his new memoir, Not Dead Yet, and in a new interview with Australia's Sunday Night show, he admits he treated Jill terribly at the end of their relationship, which he reportedly ended via a fax message. "I was following my heart," he shared on Sunday's episode. "But it turned out I was being a bit of a b**tard." Phil, 65, also endured a painful and expensive divorce from his third wife Orianne Cevey in 2008, which, along with ongoing health issues, prompted him to retire from the music industry in 2011. Opening up about his failed marriages in his autobiography, Collins confessed he was saddened by his divorces because he is a real romantic at heart. "I am disappointed I've been married three times... I'm even more disappointed that I've been divorced three times," he wrote. "While three divorces might seem to suggest a casual attitude towards the whole idea of marriage, this couldn't be further from the truth. "I'm a romantic who believes, hopes, that the union of marriage is something to cherish and last. Yet certainly that trio of divorces demonstrates a failure to co-exist happily and to understand my partners. It suggests a failure to become and stay, a family. It shows failure, full stop." Phil and Orianne, who share two young sons together, have since rekindled their romance, and the singer admits things are now better than ever between the reunited couple. "I'm back with my third wife now, which people find strange. But to me, I think it's wonderful," he told Sunday Night, according to the Daily Mail. "We got divorced... I paid her a lot of money. But that's divorce, you know. We realised it was a mistake and now we're back together and everything's great." I'm a 38 year old woman looking to meet men between the ages of 35 and 59.